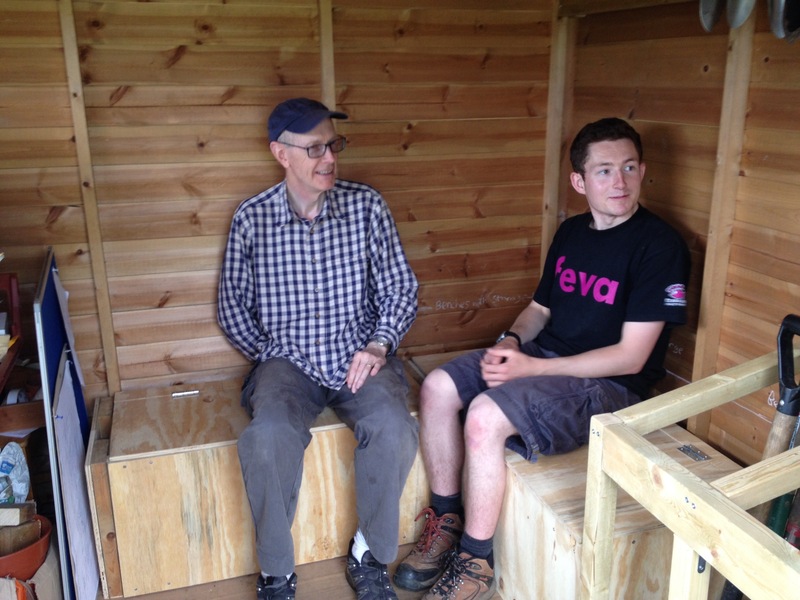 On Saturday 27th and Sunday 28th June, Bruce and Adam finished making the box seats which are now inside the shed ready to store things in and for sitting on! The photo below shows what they look like. The box seats are made from 80% reclaimed wood, which we were given by a local building site in Petersfield in 2014 and would have otherwise been thrown away in a skip.